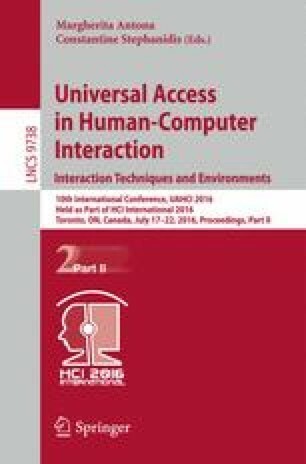 There is a demand for a way for blind persons to receive information at any time and in any place, however that is impossible to realize with an existing user interface: voice output. Thus the author had developed a wristwatch-style refreshable braille display which is named the Braillet. It has 8 braille cells and 16 input switches. It is controlled from a host computer via the Bluetooth. An user interface which enable an appropriate interaction with host computer using the Braillet is explained. There is no standardized benchmark test to evaluate the performance of refreshable braille displays. The author developed a test that measures the response speed of them. It shows the Braillet can display braille characters with sufficient quick response for users. Executing the heaviest kinds of workload, the Braillet can work during 2 h with the Wristband Battery 2. The author would like to thank to The Telecommunications Advancement Foundation. This work was partly supported by JSPS KAKENHI Grant Number 25750096.